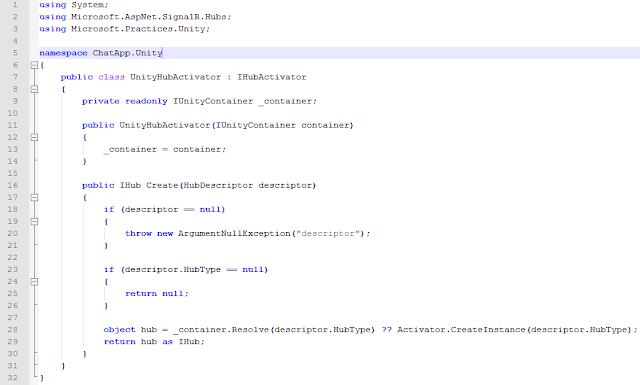 Create the UnityHubActivator class that implements IHubActivator interface. 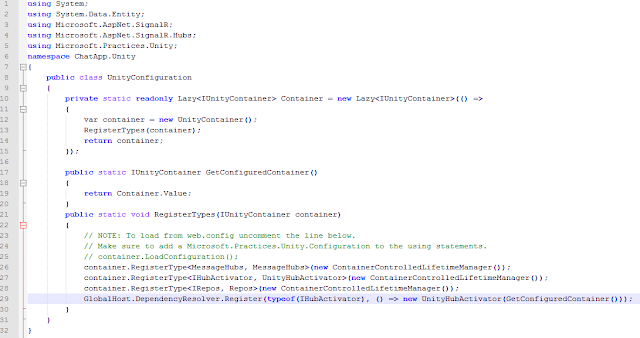 Register your Hub class to the UnityConfiguration class. 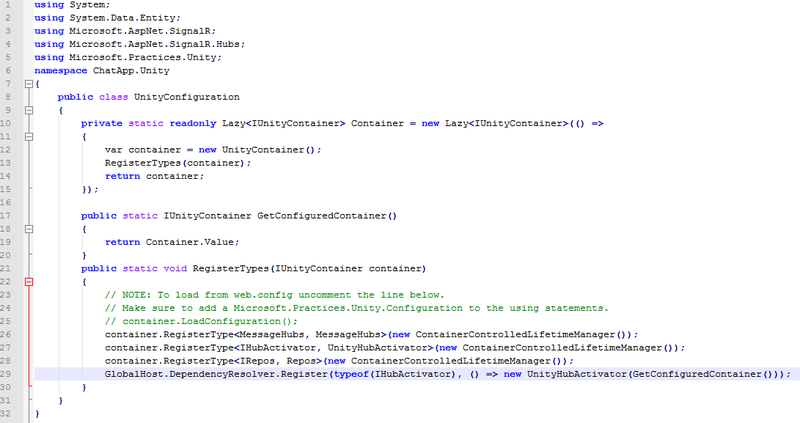 Create the UnityConfiguration class If you don't already have this class in the App_Start folder. 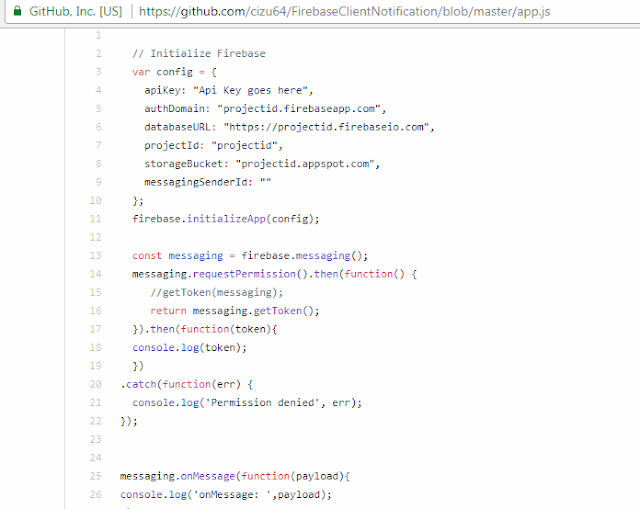 Notice the last line of code that is highlighted. Don't forget to add it. 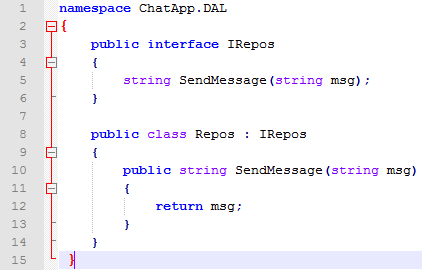 Building the IRepos Interface and Repos class to handle chat messages. 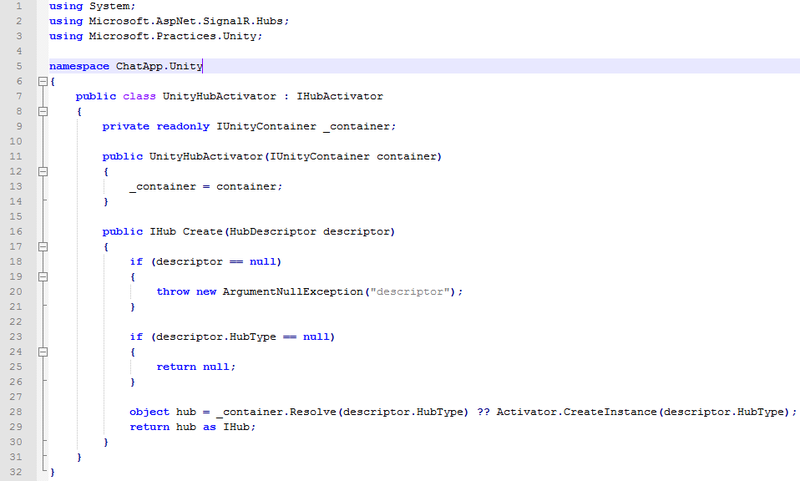 The hub class is now injected to the unity IoC to support dependency Injection which has totally improved the performance of your code and it also speed up things. If you have any issues, raise comments and if you have a better implementation, i am all ears. 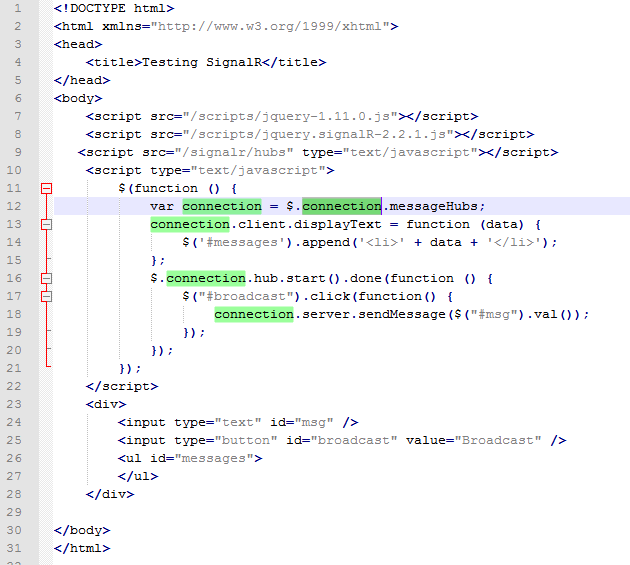 You can open up Google chrome and IE to see how the messages are updating in realtime. 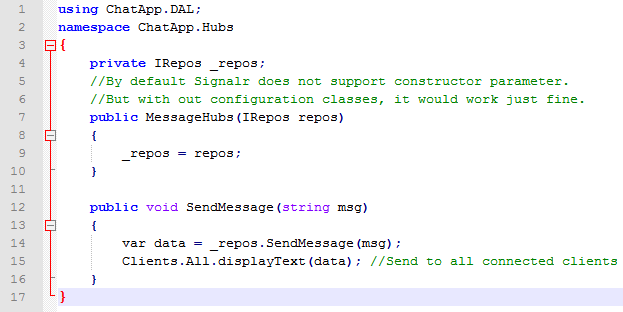 Fore beginners, i suggest you read this book by Einar Ingebrigtsen or learn SignalR on the ASP.NET website.